As we are in the era of intelligent logistics, many company choose to use Supply Chain Management (SCM) solution. Not only helps to maximize customer value and achieve a sustainable competitive advantage., the RFID application is able to be used to control the supply chain as a process from supplier to manufacturer to wholesaler to retailer to consumer. RFID application also enable the digital tachograph (DTG) device that digitally records speed and distance, as well as the driver’s activity of all cargo vehicles, which makes tracking of capital and inventory assets during transportation possible. 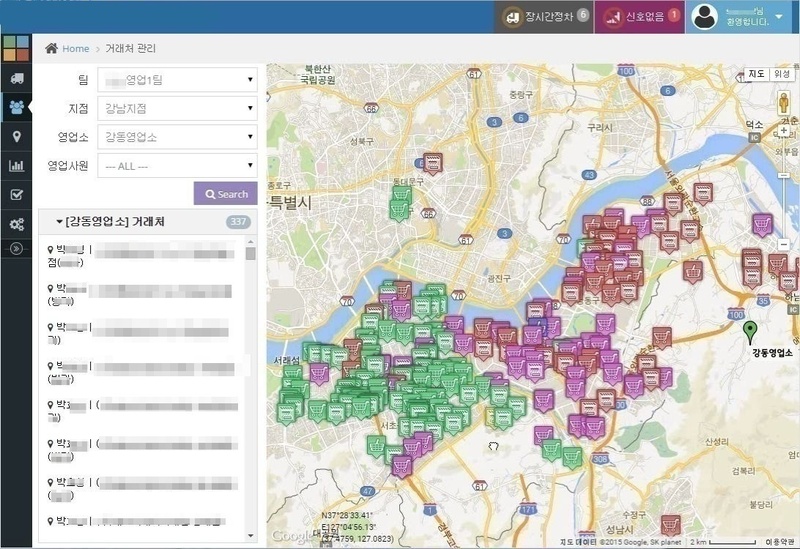 Last year, L company, one of the most representative processed food company in Korea uses Google Maps API to build up its logistics management system. 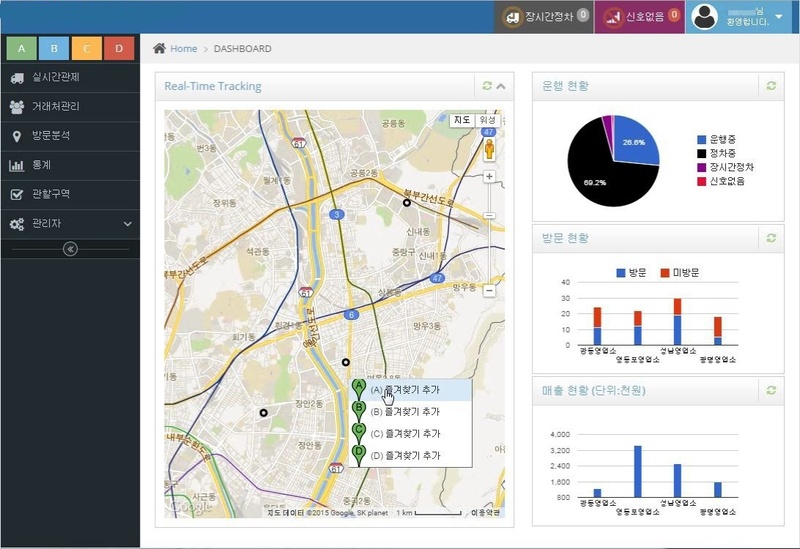 By using the management system, it allows users to find real-time traffic reports and track assets accurately. 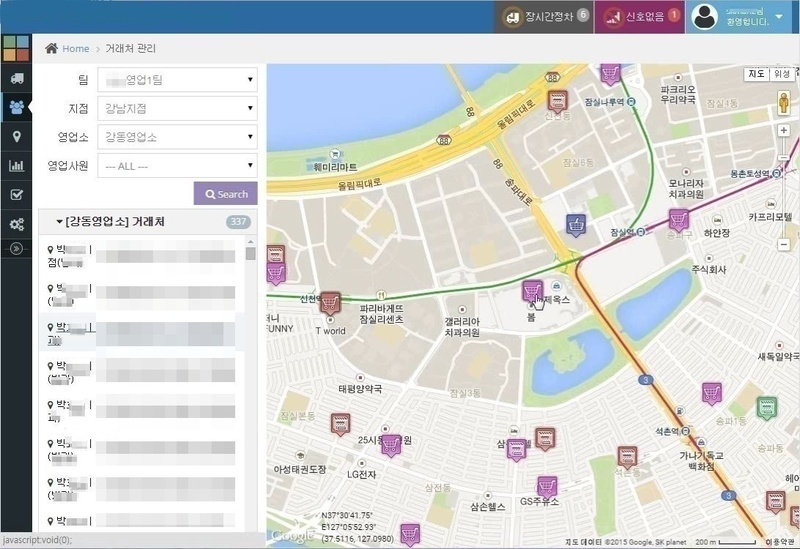 By using the favorite function, users are able to find the current location and the total number of vehicles in each area. 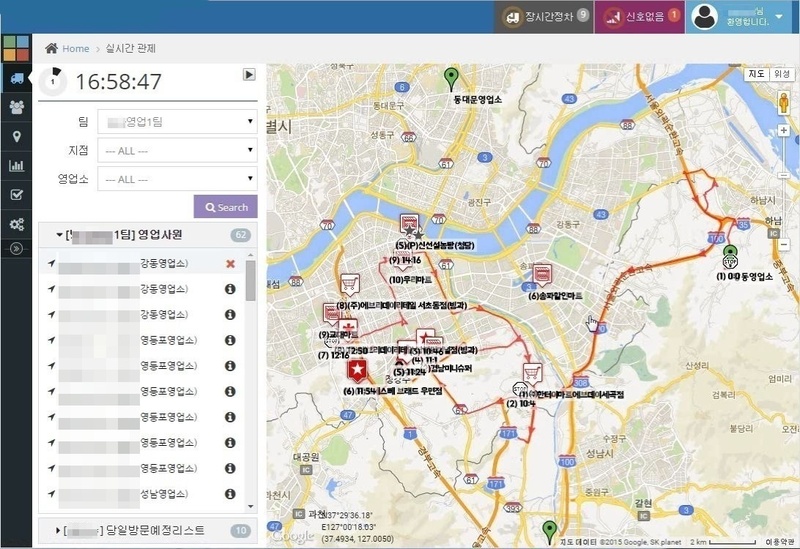 Besides getting the real-time location and status updates from vehicles or mobile workforce, there is an emergency alert system to alert and help users to handle with unexpected situation. 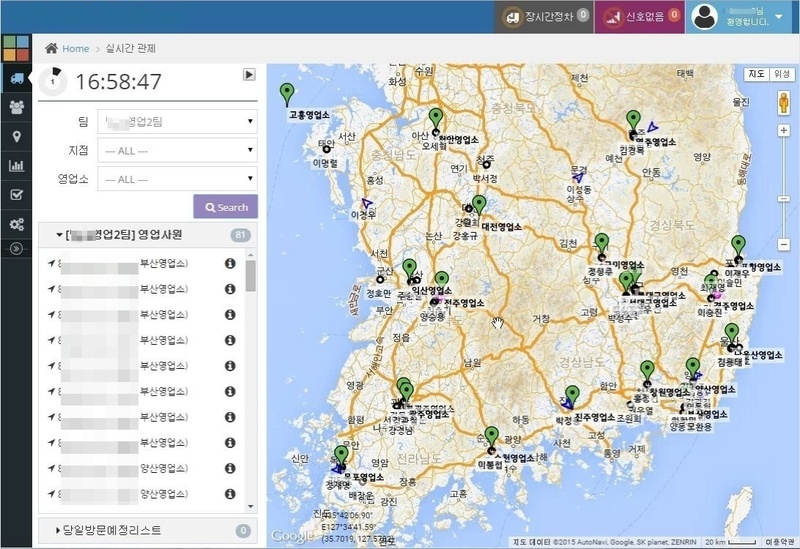 Users may use the search options to find employee information, correspondent location and etc. 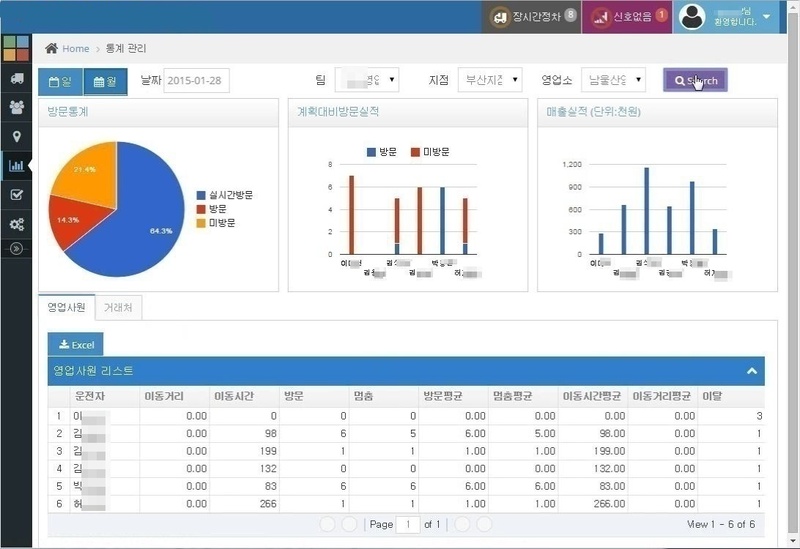 All data collected can be analysed and interpreted into statistics for presentation and evaluation. The scope of logistics has changed since the emergence of new technologies and strategic alliances in order to compete on flexibility and responsiveness. The growing importance of logistics arises from companies becoming globalized to gain access to new markets, realize greater production efficiencies, and tap technological competencies beyond their own geographical borders. This is why companies choose to emergence on advanced technologies to gain business performance and customer’s satisfaction.